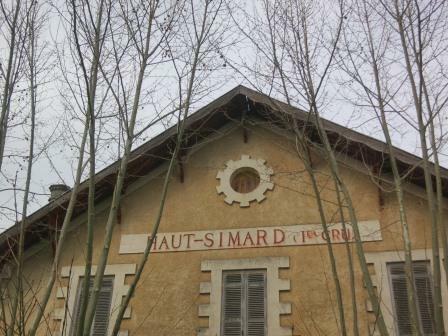 Château Simard in 2008 when his uncle, Claude “Coco” Mazière, passed away. The château has been in the family since 1954.
vineyard manager is Laurent Vallet. Pauline Vauthier is the general manager. Wine Spectator 89"Surprisingly good for the vintage. Fresh mushroom, tobacco and berry aromas follow through to a full body, with an aftertaste of stone and berry. Silky, chewy, rich and long. Best after 2014." "Chateau Simard is produced from a 40 hectare parcel and the wine does not see any new oak for the aging. Instead, the wine of Chateau Simard is aged in concrete vats. On average, Chateau Simard produces close to 12,000 cases per year."